Easily attached to Cruiser 6AC and complementing the tents style with matching colour and luminous piping, the twin steel pole frame construction offers plenty of headroom. 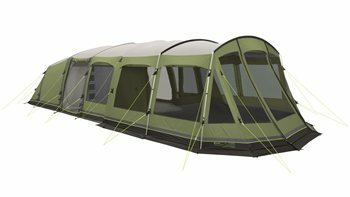 With tinted windows, a Panorama front and a detachable bathtub-style polyethylene floor, it offers generous extra living space quickly attached to the main tent. Fast and easy to pitch and pack away as required comfort.